I love Evernote and have used it for years but one thing I hate about it is that it constantly changes things to bulleted lists and dividing lines with it’s auto formatting. This bugged the heck out of me for a long time before I could be bothered to actually do something about it but its such an annoying little issue. When you add a * or a – in front of some text it will suddenly create an indented and bulleted list. This could well be what you wanted but for me 99% of the time it isn’t. The other thing it will do is turn dotted sections like this — in to diving lines. This again is not what I expect to happen when I input that. The helpful formatting for me is really not helpful at all. So this is just a quick post on how to disable that functionality and let you format you posts how you like. All this will do is disable that automatic formatting and all the options will still be available in the formatting box whenever you need them. The screenshots below are captured from a Mac so it may look slightly different on a Windows machine. 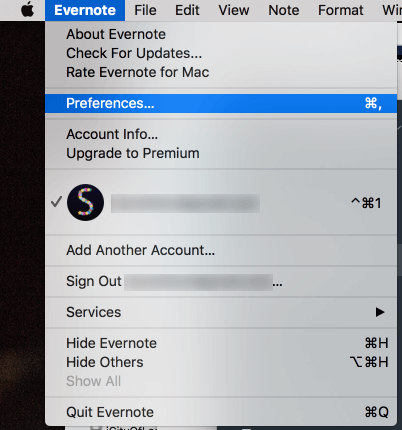 Open the Evernote application and click on the Evernote menu at the top of the screen. From that menu you need to select the ‘Preferences’ option to bring up the preferences panel. 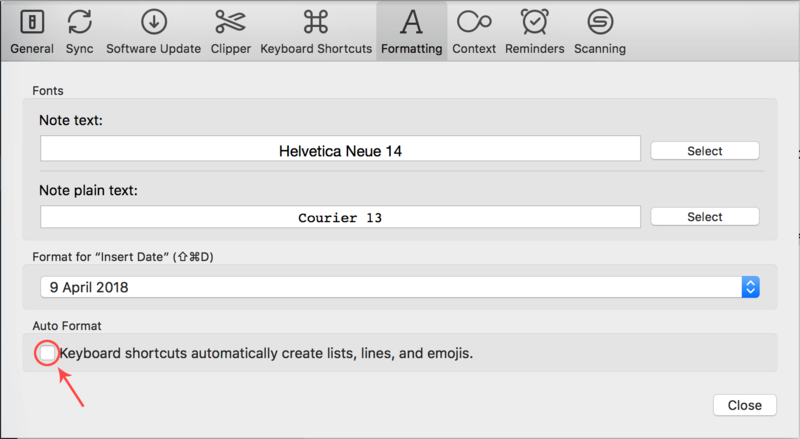 In the Preferences panel you simply need to uncheck ‘Keyboard shortcuts automatically create lists, lines, and emojis’. Then click close and restart Evernote. The auto formatting should now be disabled and you are free to write your notes however you like! You may find that this has disabled a feature you like and regularly use in the auto formatting and if this is the case then you just need to weigh up whats better for you.